Welcome to one of Truckee's most scenic and rugged trail races. The Lost and Found offers two challenging distances: the 55K or 30K. Created by the legendary Ann Trason, the Overlook Endurance Runs follow the historic Western States trail and end at Overlook Park in Auburn. Stay tuned for news of this next Epic adventure! Run the Foresthill Divide Loop and discover new trails with old friends. Run at Emerald Bay- one of the most iconic and scenic spots at Lake Tahoe. Bringing you back to where it all started- the birthplace of Mountain Ultras. Sure we produce some great races but there is so much more to it. Ultra running is a lifestyle that we follow and foster. We view everyone at our races as family. Runners, volunteers and spectators are all welcome to enjoy our home cooked post race meals (we don’t use meal tickets here). We look at our events as one big family reunion and we are happy to grow that family with each meal or drink we share together. We also have some of the best swag around- like the ladies silver necklace at Canyons 100k or Boco hats and packs. You will not walk away empty-handed! section of the Western States Trail. Now we bring you new trails like the Foresthill Divide Loop 30K, the Overlook race on the Tevis trail with a river crossing and Lost and Found 55K/30K on the Warren Lake loop atop Castle Peak. From the high Sierras to the depths of the American River Canyons, our events are unique, beautiful and challenging and where all are welcomed like old friends. we strive to keep moving forward to bring you Epic new adventures. There are a handful of top notch events that have great aid stations and volunteers and Epic Endurance Events are no exception. With help from race legends like Ann Trason and John Trent we are proud to bring the most experienced, helpful and hard-working volunteers to guide you on your journey. To pick you up when you’re feeling down, to fill you with the best food and drinks and to carry all that is needed to very remote locations. We are dedicated to do this for you so your chances of success and well-being are increased. We have been blessed with countless examples of people going above and beyond to help at our events; it is for that reason that our events are successful. So we in turn give back to the sport. 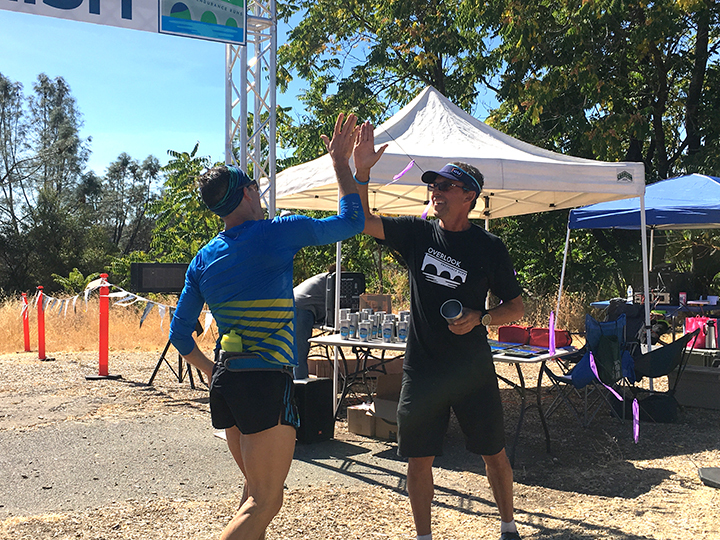 You will find us volunteering at aid stations at races like Western States (Lyons Ridge), Lake Sonoma, Silver State 50/50, Broken Arrow, Castle Peak and TRT. 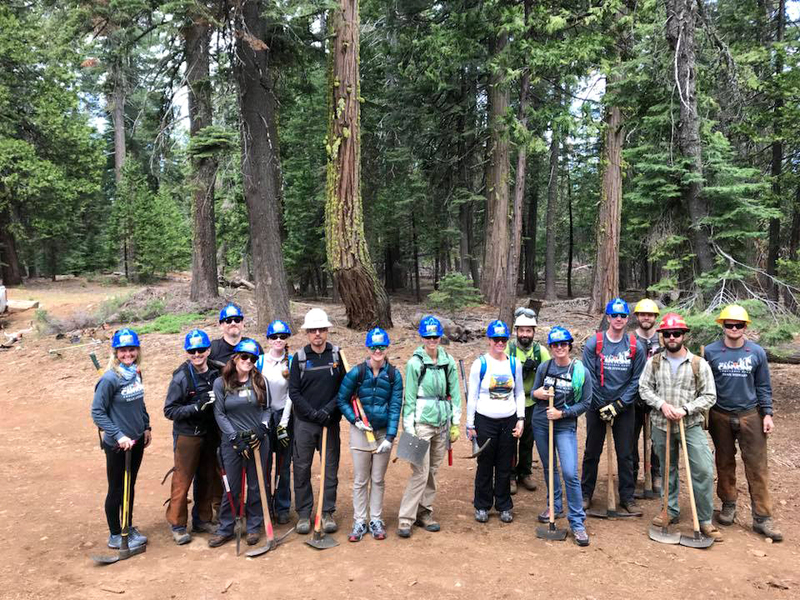 We also have our trail stewardship program in conjunction with the US Forest Service and Western States/Tevis Trail foundation. We are the section leaders from Foresthill to Pacific Slab mine to maintain the trail for all users and events throughout the year. We will also be working up in Granite Chief Wilderness and the North Fork American river. Please come and join us! In addition, we also donate funds to the Foresthill Schools athletic department, the Western States Trail fund and property owners for maintenance and access to roads for aid stations.